I stumbled across this gorgeous collection of ceramics on Blue Caravan the other day – from Mrs Peterson Pottery. 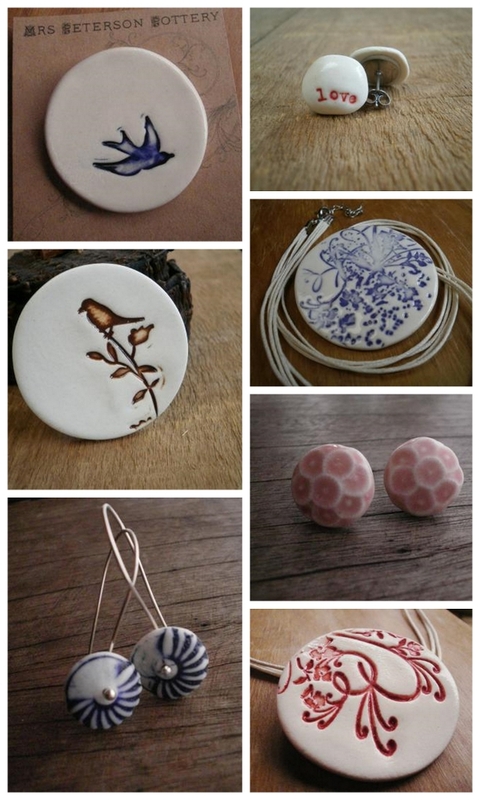 I’m really becoming a fan of porcelain jewellery – I think because it fits my personal aesthetic of simplicity and clean lines. Not too fussy, but still beautiful. Do you know of any other wonderful workers in porcelain? A lovely shop with such beautiful pieces. The red floral pendant is so pretty. I am in love with the porcelain rings from MaaPstudio [http://www.etsy.com/shop/MaaPstudio]. Wow, the work in that shop you linked to is divine! Thanks Amanda!